I’m living the single parent experience. My experience came about through a long separation and eventually divorce. This of course is some of the ways in which single parenthood occurs. Parenting is one of the hardest yet most rewarding jobs in the world. No one’s giving you any money for it but wouldn’t that be nice too. You’ll get lots of love and satisfaction though, as your kids get older. There are myriads of books on the topic but living it or experiencing it is a whole different matter. Remember the saying that “it’s all in the doing”. That’s what I’m talking about. I sure would have liked them to come with a manual though. Life would be different I’m telling you. Do you wish you had a manual? Picture this as your manual; son likes to be fed every 4 hours and change his diaper every 3 hours as this will probably keep him from making a ruckus while you try to sleep. Be sure to get your nap when he’s resting or you will look like a hag from lack of sleep. Take lots of vitamins during the baby years ‘cause girl, you’re going to need it. If the daddy works outside the home, consider yourself as a lone parent now because he’ll need his beauty rest to get to work each day. He will not be getting up in the middle of the night to breast feed or change diapers. That’s your job along with cleaning the house, washing dishes, cooking, laundry and anything else there is to be done. See now, if I’d read that, I would have reconsidered that whole parenting thing. Just kidding!! NOT. When a single parent has money, it serves to significantly lessen the financial burdens which most single parents are enmeshed in on a daily basis. No doubt, worries about food, clothing and housing become secondary when money is not an issue. A lone-parent, as classified in Canada, is a man or woman, who is single, separated, divorced, or widowed who cares for one or more children with no assistance from a spouse or common-law partner in the home. Eighty percent of the 1.4 million lone-parent families enumerated in 2006 were headed by women. From 2001 to 2006, the number of lone-father families increased more than twice as fast as the number of lone-mother families. One explanation for the faster gain among lone-parent families headed by men is that fewer mothers are granted sole custody following a divorce. Statistics (StatsCan) Canada’s data for 2006 indicates that the median total income for lone parents (that’s what they call us) families in Canada was $33,000. Low income families spend more money on food, shelter and health care. Higher income families spend more on clothing, transportation and recreation. If someone spends 20% or more of their income on food, clothing and housing when compared to the average family they are considered low income in Canada. The statistics for female headed households are really depressing and stressing. To sum it all up, women suffer a great deal more as lone parents, essentially because of lower income earnings and a lack of access to child care. In reality they live in poverty. As bleak as this report may seem, there are still countless women who are raising children alone while providing well for them. Yay, to you. From the experience, so far I am learning patience(Lord know some days I'd like to beat those kids and run screaming like a banshee too because I’m so stressed out); how to budget; (how to stretch that last five dollars 'cause my wallet is so empty and where am I going to find 5 more to pay for that activity that they just came up with at school? ); how to use coupons(why can't they ever have the ones you really need? I have to find some people to swap with. ); how to pray better and more often(only the Lord can help me now and God knows I use his name a lot.) and finally but in no way the last, how to give thanks for what I have(it might not be much but it's what I have for now). Thank you Lord for all that you are in my life, I'm truly grateful and forever blessed. I am never alone. I truly give thanks for my family especially and friends. I am surrounded by love. To the single parents out there, you are courageous and I send you love for all that you do. @Cara Moffat , I appreciate your comment and support. Thanks. Great Hub! Hang in there! 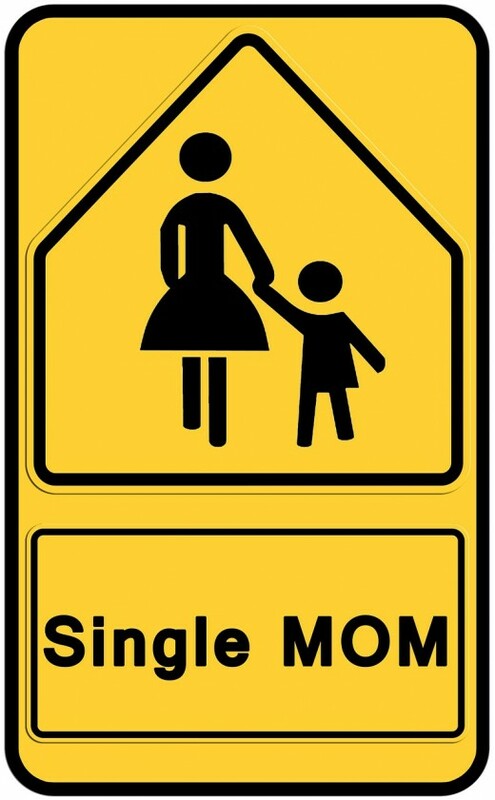 Single parents have a lot of strength and reasons to be proud! create a page~ Thanks so much for following me on my other site. You are a beautiful spirit indeed. I am truly blessed to have family such as yourself around me. One Love. Welcome to the single parent or lone parent group. It is challenging as you so admirably expressed, but I like how in spite of the problems involved you can give thanks. It is a joy to take care of our children, at least most of the time. If you were living closer to me I would gladly help with child care. Take care my Jamaican sister. It will get better I am sure. AntoineAllen ~ Thanks so much for your comment. Tubbs Merouge~ Nice pic of you. What an experience eh? bjT~ I felt the tears coming as I read you experience. Thank you for sharing it with me. The financial burden threatens to bury us completely sometimes. I hope that you have family and friends that you can turn to sometimes. Thank you for your comment. I was a single parent for 7 years, then met someone and got married. We have been married for 2 years and I have a one year old child now. My husband and I lived together for a total of 6 months since the baby was born. He refuses to help financially with the baby, including paying any portion of daycare. He also left the baby home alone with the stove on and has put the baby in various dangerous situation. I did not have any inkling he would not be a good parent. He was excellent with my older child. So, we are getting divorced. I have to keep my baby safe above everything else and he is not safe with his father in the house. I never thought I would end up with another child and a single parent of 2 children. This completely threw me for a loop. When I was a single parent of my first child I was very poor. Sometimes we didn't have electricity or cooking gas and ate rice all week. Since, I have gotten my MBA. I now make enough money to support myself and my children. I don't have a large disposeable income, but I can afford to spend $10 on pizza each week and have cable and Internet. Taking the financial stress out of single parenting is HUGE. I cannot describe how different it is when you can pay the bills and eat. It is just amazingly different. I believe the financial stress is the hardest part on the single parent and also the hardest to change. Good hub!! I know how diffcult that can be, I experienced it myself. callmefoxxy~ Thanks for your kind words. Micky Dee~ It sure does but I keep on going. Paul Marshall~ It always good when you hear the story from the other side too. I'm sure that you are doing a great job. Thanks for reading and sharing. Life as a single parent is never easy, but I think it is infinetly more rewarding. I know when things go right, it is because "I did it right". I have done 3 hubs on the subject of being a single dad, and can honestly say that there is always something new to learn. You have a great and well written hub here. Maybe we should all start a club / group on facebook or something, LOL. Now, where would I get the time for that. Thanks for the close insight Chris Eddy. It's a hard road with two parents. It's got to have mmore bumps being songle. You take care. Be safe. Well, your hub certainly gives one a real and clear insight into the inner strength it takes to be a single parent. I know you are very strong Chris Eddy111, strong and wonderful, which is why I am always proud to call you friend and "sista"! Stand tall girl, you've earned it! callmefoxxy, my pen is a mighty sword! fiksy02~ True dat! Thanks for your warm comment. LaVieja~ You know, no matter what situation I find myself in I love my kids to the max and I am willing to do whatever it takes to make this life better. Thanks so much for your comment. creativeone59~ Who feels it knows...Thank you for always showing me love. Its a very touching hub. Although I am not, my friend is a single parent and I have to say her daughter is a credit to her. She has done an incredible job despite her financial circumstances. I am sure your children are a credit to you too, and I hope that life gets easier for you.